Telva McGruder, the president of the General Motors African Ancestry Network (GMAAN) and director of facility engineering and manufacturing operations, sat on a transportation brain trust panel at the Congressional Black Caucus Foundation’s Annual Legislative Conference on Thursday, Sept. 13th. 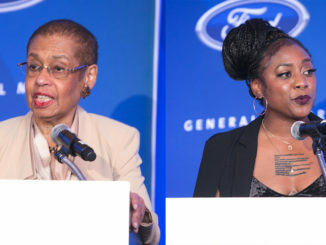 When speaking about General Motors’ top-notched diversity efforts, it’s easy to see why Telva McGruder revealed a smile that lit up the room. The president of the General Motors African Ancestry Network (GMAAN) and director of facility engineering and manufacturing operations, McGruder sat on a transportation brain trust panel at the Congressional Black Caucus Foundation’s Annual Legislative Conference on Thursday, Sept. 13, where she told a highly-engaged audience that the automotive giant is committed to zero crashes, zero emissions, and zero congestion. Sponsored by U.S. Rep. Elijah Cummings (D-Md. ), the panel included former U.S. Secretary of Transportation Rodney Slater; MWAA CEO Jack Potter; LYFT senior public policy manager Rena Davis; WMATA director Nalini Mani; Purple Line Transit Partners CEO Fred Craig; and HNTB Mid-Atlantic President Diana Mendes. “They are being enabled to make significant contributions and add value,” McGruder said. “If I look at where we were even 10 years ago, we have people in place but they weren’t necessarily in positions where they were changing the game and when I look at it today what I absolutely see is we have the blueprint … and when we think about making the pivot, we are making a tremendous pivot in manufacturing at General Motors and they’re leading it,” she said. Additionally, with propulsion systems such as electric vehicles, GM has leaders in executive roles that are also moving throughout the system and the entire organization who are growing. “Up and coming African American ancestry are looked at in a different way,” she said. Further, Mary Barra, General Motors Chairman and CEO, has laid out the corporate vision for the company of a future with zero crashes, zero emissions and zero congestion. 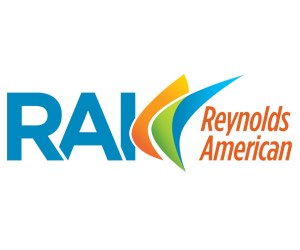 “This vision aligns with our corporate mission to earn customers for life by building brands that inspire passion and loyalty through not only breakthrough technologies, but also by serving and improving the communities in which we live and work around the world,” McGruder said. General Motors’ success and commitment hasn’t gone unnoticed. At its annual convention in Norfolk, VA., last June, the NNPA honored General Motors with the 2018 National Meritorious Leadership Award. Dr. Benjamin F. Chavis, Jr., the president and CEO of the NNPA, said the NNPA enthusiastically presented the award to the automaker because of its commitment to the African American community, its work with the NNPA to identify, nurture, mentor and provide academic fellowships to the next generation of Black journalism scholars across the nation through the Discover the Unexpected program. Dr. Chavis noted that General Motors is the single-largest advertiser with the NNPA and one of the largest financial supporters of the trade group. On Thursday, Chavis reiterated his enthusiasm for GM. “The NNPA reaffirms its strong partnership with General Motors,” Dr. Chavis said. “The fact of the matter is, when it comes to issues of diversity and inclusion, General Motors is practicing what it preaches. Therefore, the future engagement between GM and the NNPA is emerging in the right direction at the right time,” he said. McGruder expressed mutual admiration for the Black Press. 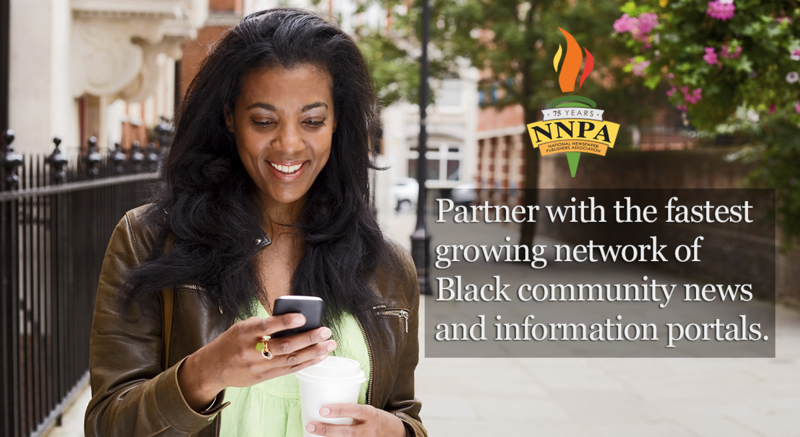 “The relationship with NNPA is very important for a lot of reasons. The company itself, General Motors, absolutely values all media particularly when we look at African American ancestry media,” McGruder said. 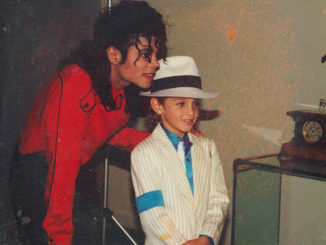 “[However], the NNPA can tell the story in a way that other media cannot. 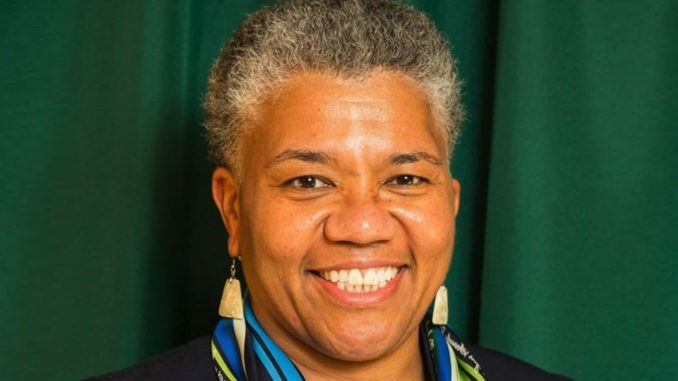 You tell different stories that others do not, and we value our partnership … we know that NNPA can do things no one else can do in sharing our story,” she said. Look like peoples be falling all over they self these days to do for us. What’s up? General Motors Doing Even More for African Americans | – Yahabari..Afro American Aggregated News Wire !